The source of the fey’s power, and the common link between them. The physical blood of a fey creature, and a metaphor for what they are. The Blood is revered as almost holy. duty or a selfish love. Indeed, “fey” is a state of existence, fey exist on a separate pole of the spectrum.Fey are the essence of a greater aspect; like a recurring dream, but like dreams they fade. The best they can hope for is to enjoy their false promise of eternity while it lasts, to become the embodiment of their purpose, or to become a nightmare that taints and deceives. Every fey creature is aware of his or her plight, on some level, and it shapes his every action. Birth, living and dying. This is known even to children as the natural order of things – the life cycle. It’s almost quaint in its simplicity. But this cycle is just one of many that weave and swirl through each other in the dynamic masterwork that is creation. Fey are the embodied of nature into a state of being that exists outside of these cycles. All of the potential energy of the web of life is denied to them, and their energies are denied to it. 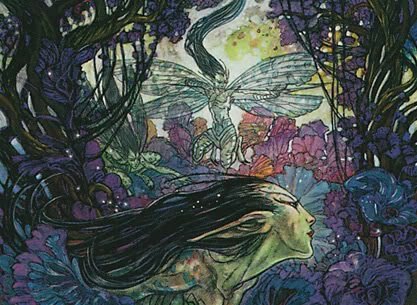 The existence of the fey is fragile and their world, tumultuous. There are ways which a fey creature can be changed, one is by changing court, or switching from The Dream to The Nightmare courts. It is bound to its own self directed advancement. They are at the helms of their own destinies, a fact that gives them great freedom but leaves them unprotected. If they make a wrong turn in their path, their can be dire consequences. Form follows the state of the soul. A fey's heart, is the focus of its soul. A fey heart is composed of energy, but it takes the illusory (figment) form of some symbol that represents the state of the fey’s soul. Each fey heart is different. A fey may have a glowing gemstone or a golden acorn. A fey heart is the pattern that ties the spirit to the flesh, and its blood is the conduit that translates the will of that soul into action. It is a symbol that may recur in dealing with the individual or in his idioms, and he may bestow a gift that resembles it upon any he cares for.